There's no need to rent those nasty bowling shoes anymore. Gutterball 2 is here! Face ethical and athletic dilemmas on the Bowlers Tour. Will you be a saint, or a sinner? Strike gold in this edition of the award-winning bowling series! Fishing for fun? Test your angling agility in this action-filled arcade challenge! Play against the biggest names in poker in this high stakes challenge! 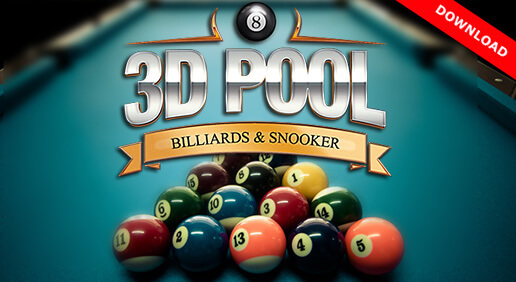 All of the tables are true in this thrilling package of eight great pool games! Play as one of seven crazy characters in this weirdly wonderful match up of Tennis Titans. Fortunately, this gorgeous country club isn't exclusive. Grab your clubs and take a swing! Say goodbye to smoky pool halls and hello to Cue Masters™ Gold. Mix it up in this graceful game of Brazilian martial arts and dance. Download Sport Games? It's Always Game Time on Shockwave.com! Looking for full downloads? PC sports games are our forte. From new releases to player favorites to all-time classics, we have the best game titles on the web, including the top download sport games. We also offer other fun-filled game categories like Time Management Games, Hidden Object Games, Puzzle Games, Strategy Games, Matching Games, Action Games, Adventure Games, Card & Board Games, Family & Kids Games, Shooter Games, Sports Games, and Word Games are updated every week, which means that our game library is virtually endless! And, to make sure you find the best download sport games, we also provide game reviews and ratings, a community full of gamers, and plenty of exclusive member perks. Don't forget to check out Shockwave® UNLIMITED. Join, and as a member you'll receive access to exclusive online games and downloads for a low monthly fee. You'll enjoy unlimited play on all download games, no ad interruptions on all online games, plus brand new games each week. You want full downloads? PC sports games are a big part of the fun on Shockwave.com. There are games for everyone!